The best stories are told in trilogy form. 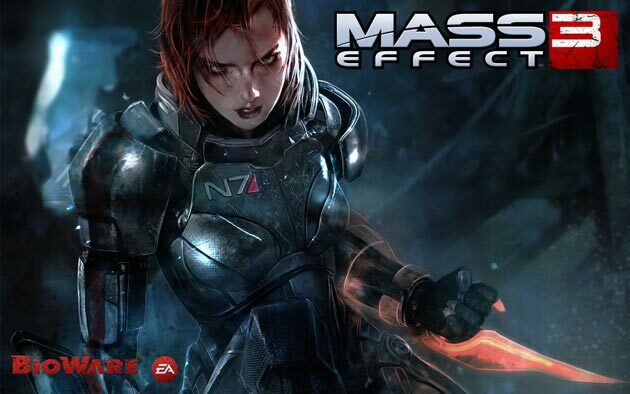 The Mass Effect trilogy contains an incredible story, but it is just one of many trilogies that exist. The kick start of the fantasy novel genre, The Lord of the Rings, was a trilogy. The core Halo games, a trilogy. Die Hard (pre-Live Free), The Godfather, two sets of Star Wars movies, His Dark Materials…all trilogies. What makes the trilogy such an effective tool for telling a story? It’s all in the format. The author is able to devote an entire medium—novel, movie, or game—to just one portion of a story. As opposed to limiting content to cram three key components into one sitting, the author is able to elaborate on each portion. A true story has a beginning, a middle, and an end—introduction to setting and characters and initial conflicts, the carrying on of these conflicts, and the conclusion, where everything is climatically brought together. The characters you experience, grow fond of, learn from, engage in a ravishing final conflict—the resolution of which leaves you strangely satisfied, but longing for more. Enter Mass Effect 3. 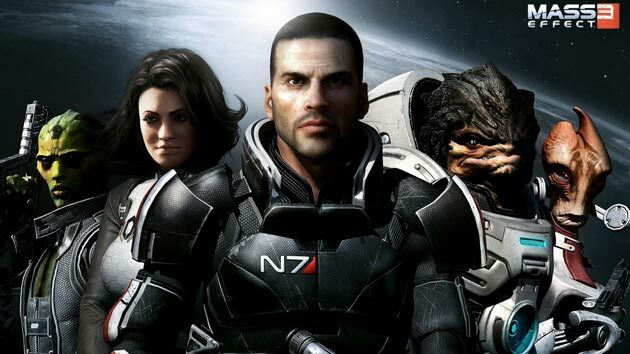 The galactic saga of Commander Shepard and his crew comes to a close, and in doing so, wraps up one of the greatest and most well-loved stories ever told through the video game medium. For over five years now, fans of the Mass Effect series have been waiting to experience the inevitable invasion of the Reapers. What makes this series so undeniably unique is that everything you do over the previous two games comes in to play for this final episode. Help a colony out in an obscure Mass Effect 1 sidequest? 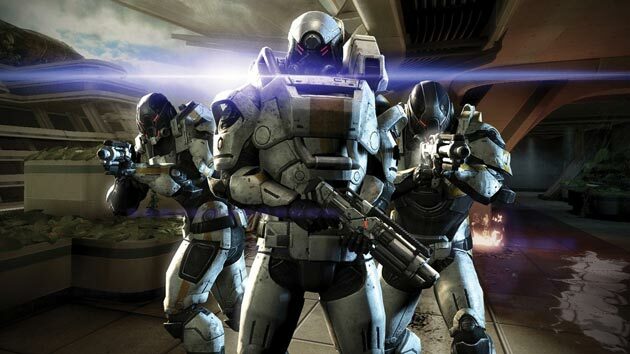 They enlist their help in your frantic force against the Reapers. Piss some guy off by making a tough call earlier in the series? He’s back, with a vengeance. No franchise in the history of video gaming has been able to truly pull this level of player-crafted storytelling off. What makes this trilogy so sentimental to players following the Mass Effect franchise is that their character—their own handcrafted Shepard, created in a save file dating as far back as 2007—has grown with them. For those that are new to the Mass Effect series, allow me to briefly fill you in regarding the story thus far. 140 years into our future, mankind discovers information left behind by an ancient spacefaring race known as the Protheans. This information leads humanity to the discovery of the mass relay network—basically, waypoints that launch a ship bearing a special kind of engine from one point in the galaxy to another. 30 years after humanity has established peaceful terms with other intelligent species of galactic life, one soldier—Commander Shepard of the Earth Systems Alliance Navy–discovers a horrific truth—the Protheans were exterminated by a race of sentient machines, known only as ‘the Reapers.’ Every 50,000 years the Reapers come and eradicate all intelligent life—and it seems that 50,000 year-long cycle is just about over. 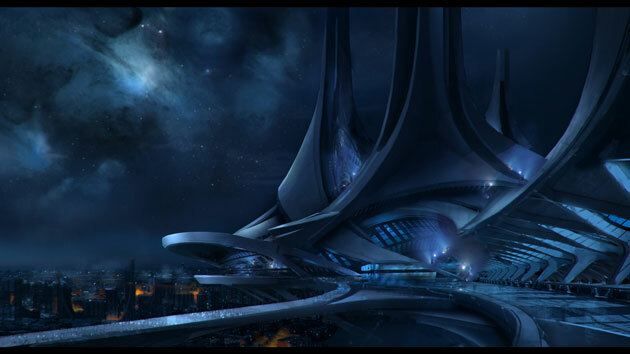 This was the setting for Mass Effect 1. Its sequel continued the efforts of Shepard to learn more about and ultimately destroy the Reapers, culminating in a suicide mission into uncharted space, in which odds of survival were slim at best. It should be noted that Mass Effect 3 is completely playable as a standalone game. The game literally rewrites itself if this is your first venture into the Mass Effect universe. However, for the best experience possible, playing the first two games in succession is highly recommended. This is because the programming contains over a thousand variables—all those choices you made in Mass Effect 1 and 2, regardless of how important, will alter the game in some way. Mass Effect 3 begins with Commander Shepard being detained on Earth, grounded for his actions portrayed in the Mass Effect 2 DLC pack ‘Arrival’ (which is implied to take place after the main storyline in ME2). As he is brought to his hearing, the Reapers finally appear and swiftly take Earth. Shepard must travel the galaxy once again and unite the various races under the name of hope and destroy the Reapers once and for all. It should be noted that the scope of this—destroying the Reaper race as they continually wreak destruction across the galaxy—is enormous. 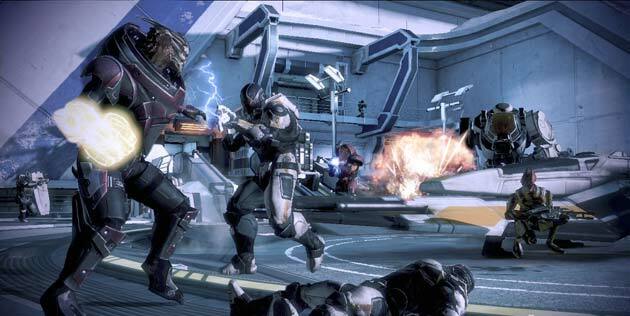 Throughout the entire lengths of Mass Effect 1 and 2, Shepard and crew have only destroyed one Reaper. Thousands are now pouring into the known galaxy. Something that Mass Effect 3 does incredibly well is create a sense of urgency with the player. As you play through this game, Reaper forces continue to grow. At the same time, if you rush through the main storyline without doing any sidequests, the fleets you ally for the final confrontation will be weak, unorganized and doomed to fail. Take too long to do a certain quest, and said quest will be unavailable—the Reapers will have hit whatever mission could have been launched. The state of your alliance is measured by a system the game refers to as ‘Galactic Readiness.’ This is a statistic of how unified your forces are, and how well they’ll fight during the final battle. Galactic Readiness can be fortified through two methods—completing side missions in the single-player mode, or partaking in the game’s multiplayer mode. The latter of which is a completely new component to the series. Similar to the loyalty missions of Mass Effect 2, ME3 has you scavenging across the galaxy for ‘war assets’–people, fleets, alliances, supplies, resources, weaponry, etc that make up the core of your growing army. 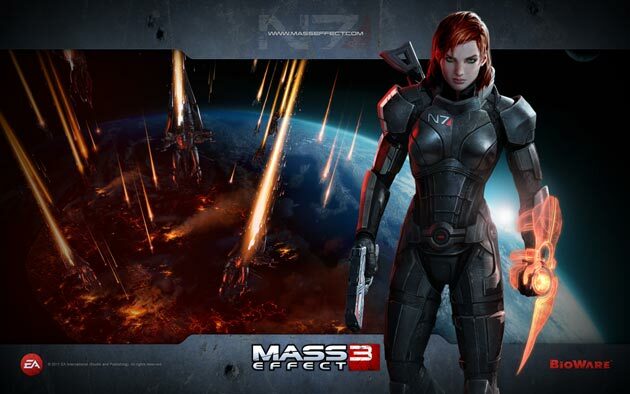 During his quest to unite the galaxy and collect these assets, Shepard encounters familiar and new allies alike. Most of Shepard’s recruitable squadmates are returning characters from Mass Effect 1, something that made the fan inside of me extremely happy. 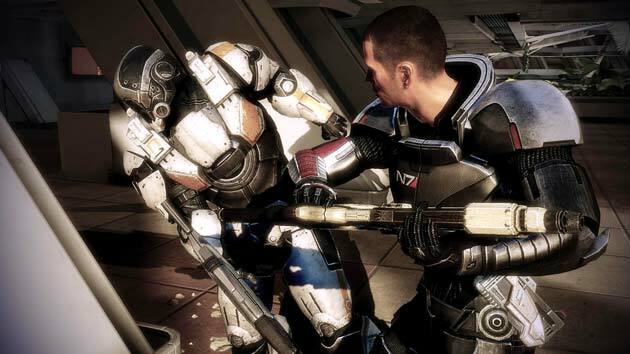 Combat in Mass Effect 3 is as thrilling as ever. 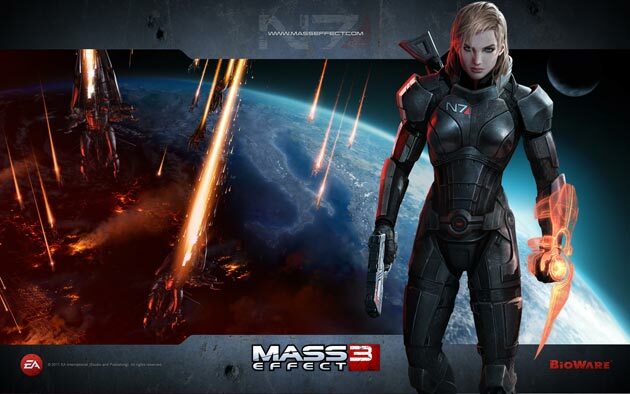 Prior to launch, BioWare stated that ME3’s combat speed was significantly faster than ME2’s, which was already stellar. The dev team kept their word. Nearly every firefight in the game is intense, from a minor skirmish to a full-on assault. The game’s pop-and-cover gunplay is reminiscent of Gears of War, and let it be known—the enemies in Mass Effect 3 are unforgiving. BioWare has also stated that “normal is the new veteran” in terms of a difficulty spike, and again—they’re true to their word. Something new to combat, for Kinect users exclusively, is the ability to vocally assign commands to squadmates. This function works well, and is extremely fun to execute. Shouting, “Ashley! Concussive Shot!” in the middle of a fight is unbelievably satisfying. Instilling a multiplayer mode to an action/RPG franchise is a nigh-unheard of thing. Since its announcement, opinions of this new addition have varied from ‘wonderful way to enhance replay value’ to ‘an unnecessary tack-on.’ This reviewer is ecstatic to announce that Mass Effect 3’s multiplayer is both unique and enthralling. 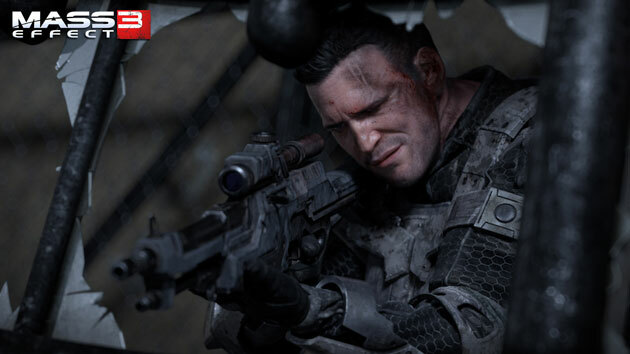 Multiplayer is executed by co-op missions over Xbox LIVE or the PSN. Players can create a character from any of the single-player’s six classes, and can choose one of several races depending on the role they want to play. For example, it’s possible to create a quarian engineer, but not a krogan one. There is both a male and female human option for every class, however. In accordance with the series, your character still levels up and has allocatable skill points earned on each level up. This retains the title’s RPG feel, and makes the whole multiplayer experience all the more genuine. Something I thought was really well-done was how the game justifies having a multiplayer component. 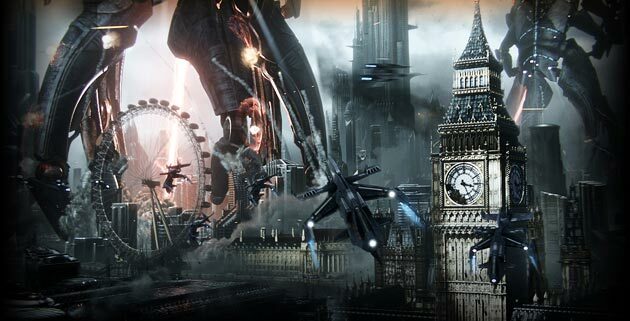 Due to the galaxy being at war with (depending on each sector) the Reapers, Cerberus and the geth, each multiplayer battle is an actual battle in-universe. 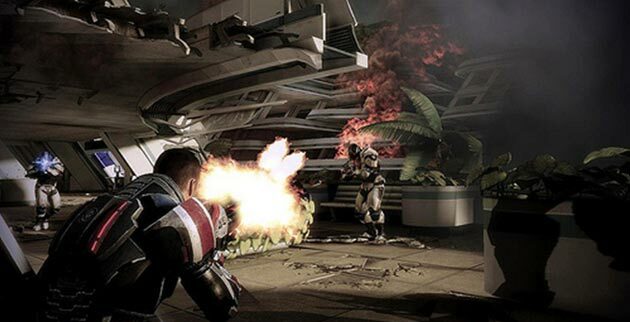 This means that while Shepard and crew are questing in single-player, your multiplayer character is in another part of the galaxy, fighting a separate battle. For every successful mission, your game’s Galactic Readiness increases—because you just won a victory in the ongoing war. Mass Effect 3 is enormous, in terms of both things to do and file size. As such, there are some minor inconveniences, but nothing that really detracts from the quality of its experience. Expect the occasional graphical error, such as slow-loading textures, character model facial movements that aren’t quite syncopated with their respective voice-overs, and lag during cutscenes/battles that require an intense amount of processing power. When the game launched, players noticed a huge bug concerning file imports. Players who saved their Mass Effect 2 files to the cloud will have to re-download it to its original HDD, or said file will not be able to be imported. BioWare is aware of and fixing this issue. Also, players who customized their Shepard’s face in the orignal game may find their character’s appearance reset and will have to customize him/her again. This is, as explained by the dev team, due to how faces in ME1 were read when imported to ME2. By far the most frustrating factor I noticed during my playthrough, however, was the constant swapping of discs necessary to complete the game. Most of Mass Effect 3s side content is stored on disc 2, while most of the primary story is on disc 1. This means manually changing out discs in your console in-between a few missions. Again, it isn’t a game-breaking flaw, but certainly a minor annoyance. 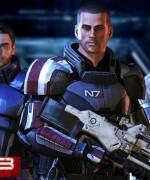 Mass Effect 3’s graphics are not top of the line, but super close. The aforementioned bugs don’t help its case, but for the greater part of the game everything runs smoothly. Some character models are a little rough around the edges, though the environments through which you’ll explore are just beautiful. I applaud BioWare, however, for their decision to not use exclusively high def text. While the first installment had on-screen text that could be easily read on a standard-def television, part two was developed to cater towards more modern TVs. This meant heavy squinting, and missing out on most of the flavor text BioWare’s just so famous for including in their games. 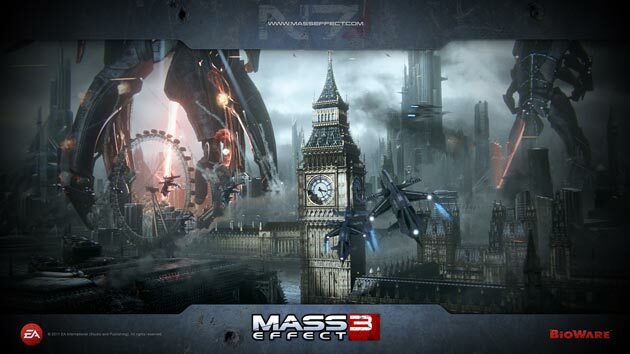 Mass Effect 3 retains the original’s larger on-screen text. The game’s score is fantastic. BioWare went above and beyond to create an epic, moment defining soundtrack. A few themes used throughout the series are retained, one such piece being the galaxy map’s BGM. 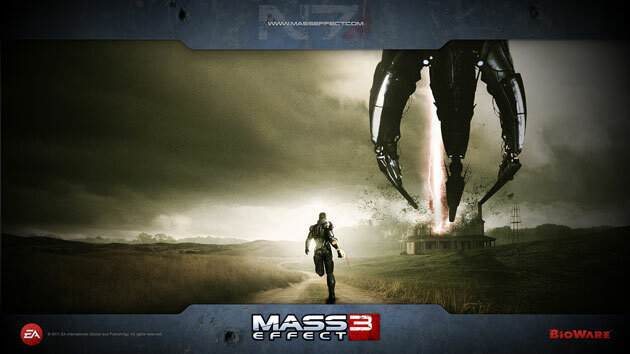 For portions of the game where Shepard and company explore areas with low visibility and extremely high danger, the dissonance of the game’s soundtrack creates a perfect feeling of suspense and oncoming terror. The game’s battles are fought to fantastically adrenaline-pumping music, which really captures the ferocity of the war. The most powerful music for me was that which played during the game’s more tender moments. Given the game’s apocalyptic setting, lives will be lost. I can’t reveal which ones those are, but series vets will find themselves tearing up at times. These moments are brought to life by simple, reflective, and heart-rending piano pieces. 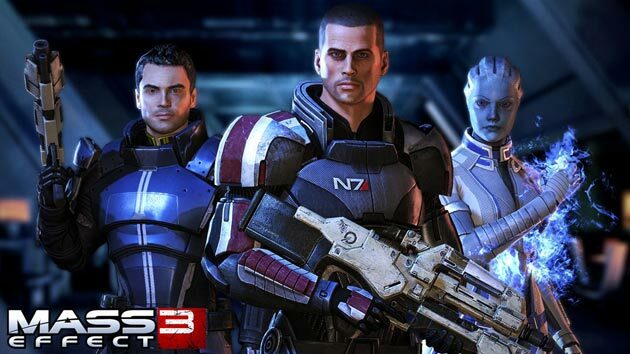 Mass Effect 3 features a stellar voice cast. All returning characters retained their original voice actors, and new characters are just as wonderful. Highlights include Freddie Prinze, Jr. as Lieutenant James Vega, Seth Green as Joker, Martin Sheen as the Illusive Man, Tricia Helfer returning as EDI, and Kieth David once again as Anderson. 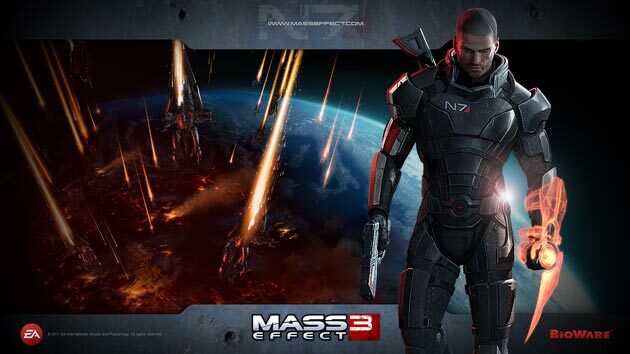 All in all, Mass Effect 3 is a marvel of modern gaming and should not be missed. It isn’t perfect, due to some minor technical glitches and such, but is as close to perfect as can be. It is a no-brainer necessity for series vets, and still a must buy for everyone else. I recently finished Mass Effect 2 on my PS3. Before I had played it I thought Mass Effect was just going to be an over-rated sci-fi series that was all show. I was sorely wrong! This is a fantastic series, and I can’t wait to play 3. Well, I’ve finally played Mass Effect 3, so I thought I would give my input on the game. After beating ME3 a mere three hours ago, I can truly say that ME3 is one of my favorite games of all time. It punched me in the face with its intense shooter elements and epic set-pieces, tugged at my heartstrings with its wonderfully done script and cast of characters, and gave me one of the most satisfying endings I’ve experienced in a game in a long time. Bioware delivered one of the most epic trilogys to ever grace this console generation. As Chris said, all the consequences to your decisions- big and small- are felt during your scramble to rally the galaxy against the Reaper threat. Though I never got to play the first Mass Effect, the consequences are still felt from my ME2 file. Squadmates are absent, a love interest was rekindled, and my actions from the previous game directly affected some of my attempts at recruiting forces. It’s absolutely amazing how Bioware crafted every decision I made into this explosive finale. I agree with Chris that there were some graphical issues here and there. However, not once did they affect how I felt about the game. The musical score, the graphics, the story, the gameplay; it all struck home for me, and it blew me away with moments that I will never forget. This is one of the few games I will ever give a perfect 10 out of 10 on my personal games list. Chris was absolutely right; I freakin’ loved ME3. Congratulations on finishing Mass Effect 3 Jonathan, and thank you for this great mini review of the game. It’s always nice to get other opinions and view points from our lead reviewers, and in this case, it supports Chris’s review nicely.